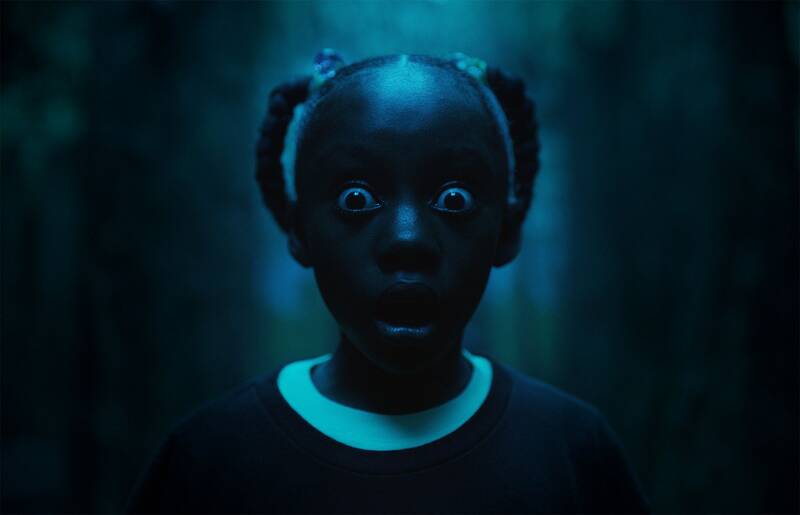 If 2017’s Get Out gave us the realisation that comedian Jordan Peele had the makings of a bona fide director, 2019’s Us is the confirmation that he has one of the most astute and brilliant minds working in cinema today. After Peele’s foray into horror filmmaking began with the insanely low-budget film making box office history and culminated with the director nabbing Oscar nominations for Best Picture, Director and winning Best Original Screenplay, all eyes were on him to deliver with Us. And Us, with its jaw-dropping horrors and mind-bending twists, affirms Peele’s status as a horror auteur. 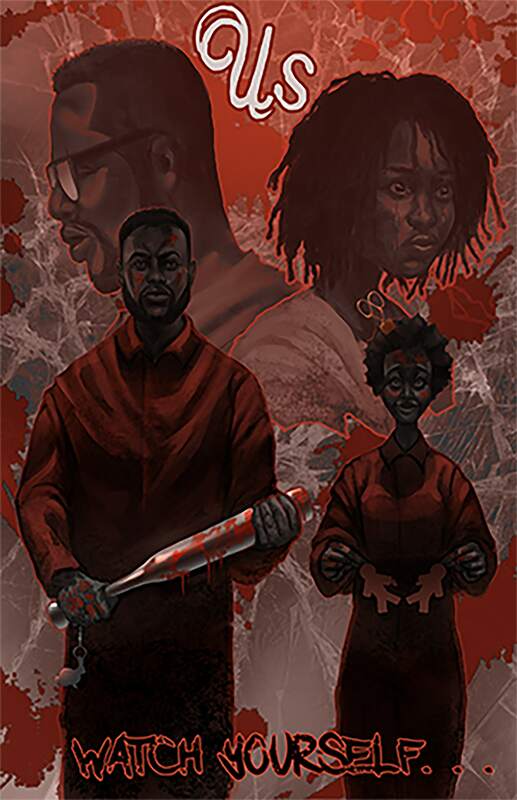 The premise of the film is relatively simple; a middle-class black family’s vacation comes to a violent end when four intruders who look identical to them break into their house. Giving away more would not be fair to the viewer so I am going to remain relatively mum about all that goes on in the film, but let us just say that there is certainly more to the story than what meets the eye. It is important to establish here that Us really is not that scary in the typical sense. As with Get Out, Peele is not interested in using jump scares to terrify you but rather make you face how inherently malevolent the world we live in is. That may turn many off but those looking to be entertained will find little to fault in Us which injects heart, humor and a whole lot of smarts into this clever horror film. Peele’s cast features Academy Award winner Lupita Nyong’o and her Black Panther co-star Winston Duke in leading roles as Adelaide and Gabe respectively. Newcomers Shahadi Wright Joseph and Evan Alex who play the kids are both standouts, written well enough that they act their age but never come off as annoying. The four main actors have the tough job of not only playing the terrified family but also their evil doppelgänger and the actors really do justice to their roles. The characters feel distinct and Peele’s decision to add certain characteristics to the doppelgänger works wonderfully in making them their own beings. The red jumpsuit (an ode to Michael Jackson’s Thriller video) clad clones are not as surface-level evil as one might imagine and the fun in Us begins when we have a basic understanding of some of their lore. The escalating violence that ensues upon their arrival is all the more rewarding considering that the buildup until then is frustratingly slow. But once the film gets going, it never catches a break. Peele’s screenplay is brilliant in developing all the characters evenly, and the fact that it gives us a lot of answers in the third act and yet still leaves the viewers with many queries makes the film all the more satisfying. The script penned solely by the director manages to be sharp and surprisingly funny, with certain scenes proving to be both horrific and chuckle-inducing. Whilst sticking closer to a more traditionally horror format, Peele explores plenty of contemporary issues. From delving into the fractures in modern American society to examining privilege and our own careless misgivings, Us leaves a lot on your mind. 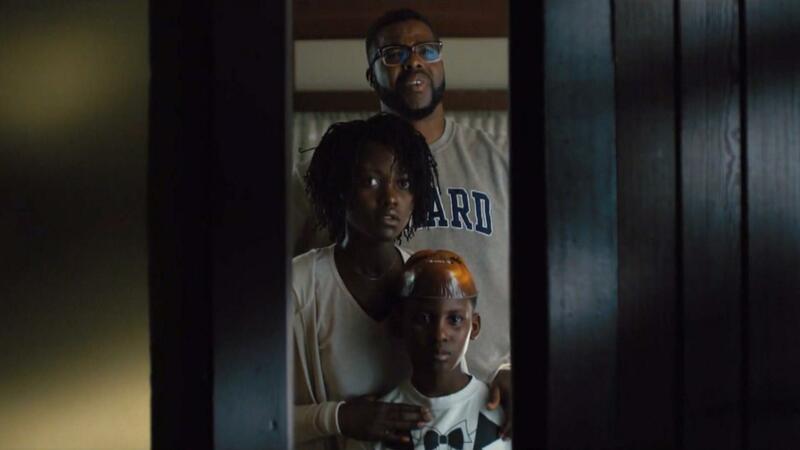 There is also the way Jordan Peele has directed the movie, with the Get Out director carefully utilising each mise en scène to mean more than it would in any ordinary movie, stylised, and riddled with clues and symbols. The action sequences are also extremely well shot and the cast is more than ready for the physically demanding challenges Peele has in store for them. Us would not be half as great if it were not for composer Michael Abels (who Peele found on YouTube and brought into the spotlight with his debut feature). Abels’ thundering, the anthemic score is not unlike that of Theodore Shapiro’s for The Invitation. Here Abels maintains the Hitchcockian suspense throughout even when the audience may not fully realise what they are seeing, and in one dazzling scene at the end, amps up the tension to shrieking crescendos chilling you to the bone. 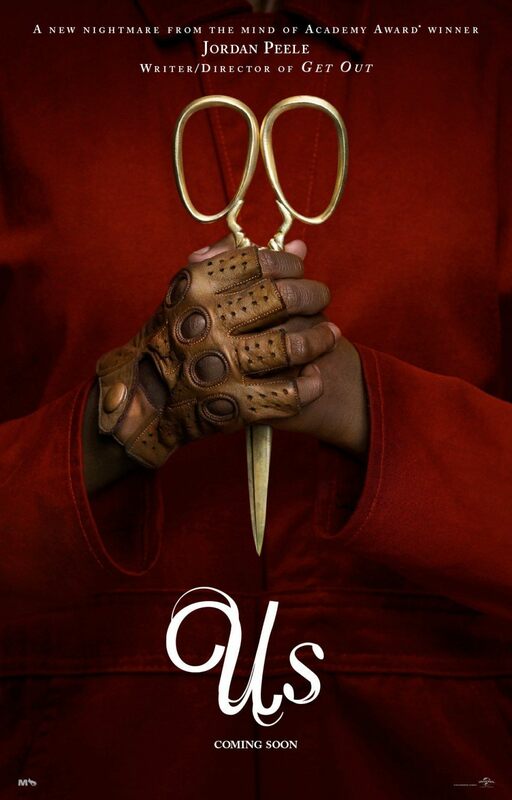 Through a gripping storyline, vivid characters and allegories (that never seem heavy-handed), Jordan Peele delivers his second strange masterpiece. By the time you reach the end of the movie you may well be one step ahead of others in figuring out the final twist, but the beauty of Us is that the closing finale will still make you question everything you know about this simplistically sinister film. Islamabad-Kabul ties: too many fences to mend!